Step 1) Prepare the wiper motor to mount the aluminum angle iron swing arm. 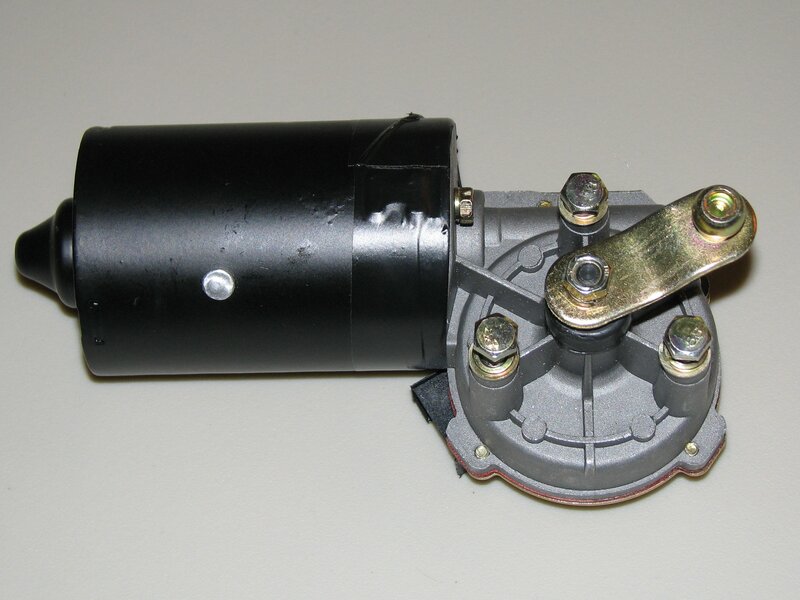 The wiper motor comes with a short arm already attached. Loosen the nut on the central shaft and discard the short arm – these nuts are often on very tight so it can be helpful to use a pair of vice grips or large pliers to grasp the arm and prevent it from turning. 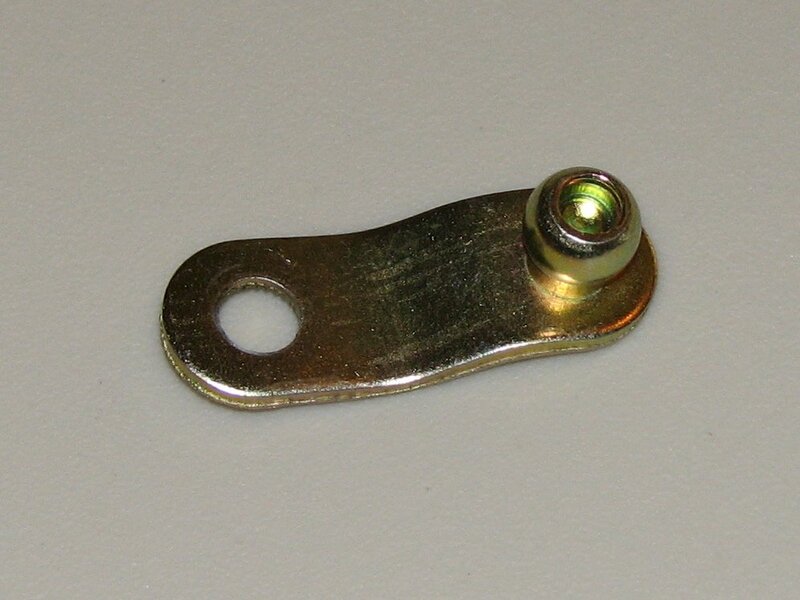 Be sure to keep the nut! 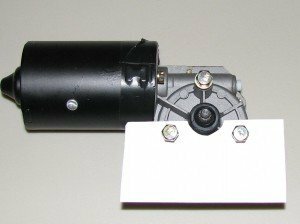 Step 2) Using a piece of heavy paper or cardboard, trace the bolt pattern from the wiper motor then cut out the holes for the bolts and for the central shaft – this creates the template to transfer to the aluminum angle iron. At this point, you need to make some decisions that will affect the final movement of the ghost and can be difficult to change. The length of the swing arm will impact the overall size of the apparatus – be sure to leave enough clearance for the swing arm to make full rotation with plenty of clearance. 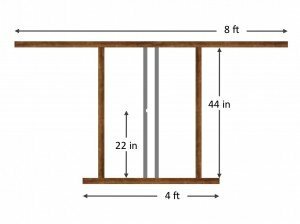 Our Flying Crank Ghost is displayed in the front window of our house, so we built the frame to fit the space – see the diagram for dimensions. The length of the swing arm will determine the amount of movement in your ghost for both the head and arms. The total arm length in the video for our Flying Crank Ghost was 10 inches and we think it would be improved with slightly less movement, approximately 8 1/2 to 9 inches. 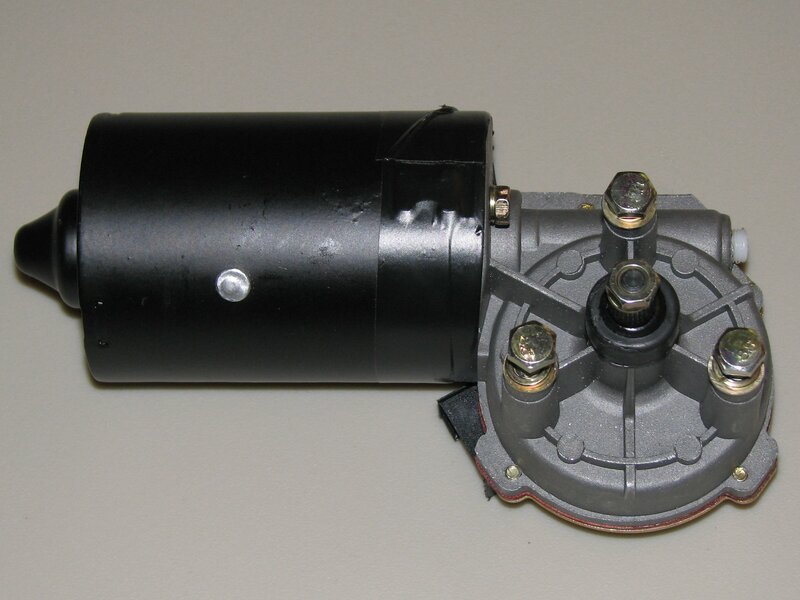 The top of the image is the front of the ghost with the motor mount directly in the center. 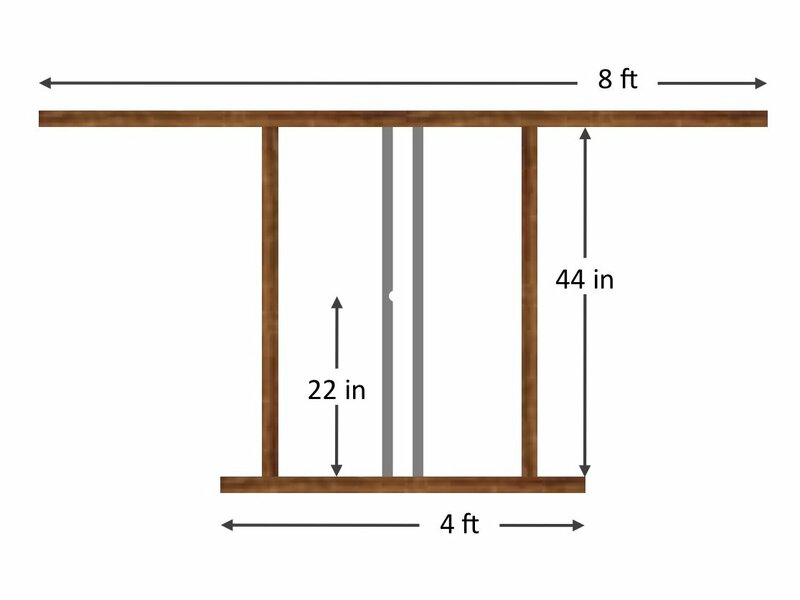 Our frame is made of 2×2 lumber and we highly recommend using structural connectors (also called rigid ties or strong-ties) at the joints to tie everything together. 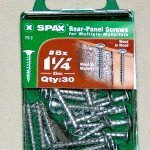 Spax wood screws are a slight premium to normal wood screws but they are worth the money – they are available at many of the large home improvement stores.